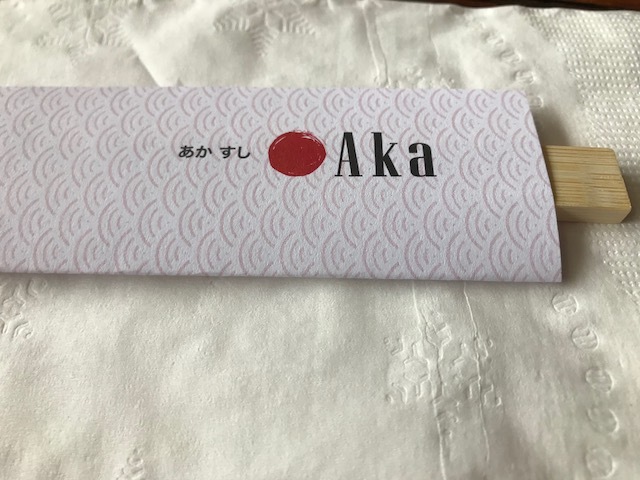 Went back to Aka for lunch this round. By the way, when the sign on the door said they're not open until 12 noon, they really meant it. Not even 1 minute earlier. Nope, don't even dare think about it. Lunch came with salad and miso. 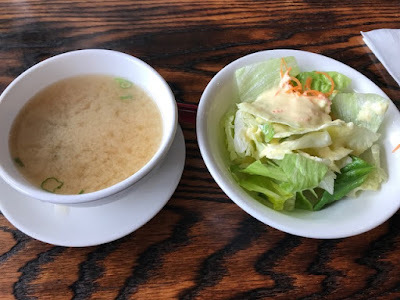 I got the ginger dressing for the salad... it was a tad watery. 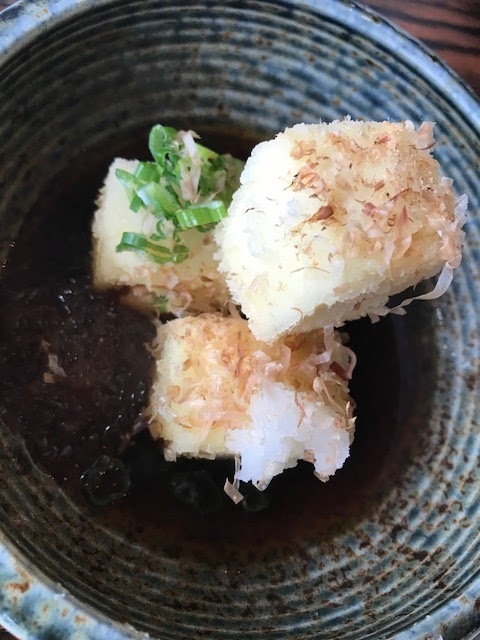 Got my favorite agedashi tofu. LOVE! This is their version of Chirashi. I love Chirashi, just because you get all assortment of fish and on a bed of rice. So you basically getting a variety of sushi deconstructed. As you can see, they don't skim. 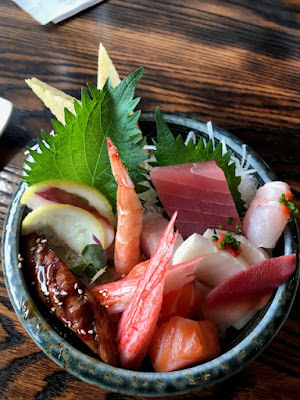 There are octopus, eel, crab, tuna, salmon, yellowtail just to name a few. It's a small bowl but pack a big punch. Unlike normal sushi (nigiri) where you get hungry after 30 minutes. This lasted me for a good while. Talk about yummy, price-worthy, and filling!